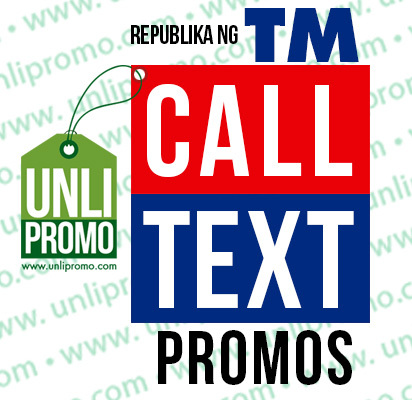 Touch Mobile (TM), popularly known as Republika ng TM offers Astig and more affordable TM Astig Call and Text Promos to all of their subscribers nationwide. Pick from unlimited texts, call and text combo and text to other networks. Plus more available denominations to choose from. Now there’s more ways to keep in touch with your loved ones at anytime, anywhere. Kasi Sa TM, Astig ka dito! No Need to register Simply add 806 to the 10-digit TM/Globe number. P5 for a 3-minutes call to TM/Globe number. To register, text DAGDAGCALL to 8888. P5 only for additional 3minutes of calls to TM and Globe subscribers. To register, text ASTIGTXTALL send to 8888. **The information available here is subject to change without prior notice. Good day. Just wanna know if there are promos for unlimited texting to all net? it seems like it’s not convenient to use ganatxt10 if i have lots to text and it’s very much expensive to use from time to time or even in a regular basis. If you have such, kindly inform me ASAP so that i can get a handful use of it. Thank you. SANA PO, PAG UNLIMITED IBIG SABIHIN WALANG LIMIT,. UNLIMITED CALL DAW PERO LIMITED LNG ORAS, MAY SCHEDULE PA KUNG ANONG ORAS PWDENG TUMAWAG,. DI PO BA YAN KAYANG GAWIN NINYO YUNG TOTOONG UNLI NAMAN PO?., SORRY SA ISTORBO,. onga sana wla sched unli twag ano yan baliwan? ano pong pwedeng i-unli sa 50.00 ?? Anu pede unli sa 300? Sana may mga combo promos na din na aabot ng isang buwan. Ano po pwede i unli sa 30 for 7days unli text and call po?? merron po bang promo na unlitext to all net for 5days? how about po with texts&calls in one month?